If you look back, year 2006 was exceptionally profitable for Bollywood. It was the year when some of the most critically and commercially acclaimed movies were released. There was Rang De Basanti, Khosla Ka Ghosla, Omkara, Gangster, Dhoom 2, Fanaa, Krrish, Dor and Zinda. Little wonder then, that Bollywood has a lot to thank 2006 for. However, there was one more film that had released that same year; a film based on Mahatma Gandhi's philosophies. A film that wanted to make Gandhiji's teachings relevant to the younger generation once again. Even though the plot sounded a little preachy, expectations were high considering the fact that the film was a sequel to a cult classic that had come 3 years back. The film was Lage Raho Munna Bhai. A majority of people had their reservations regarding the plot. Reason being that over the years, Mahatma Gandhi has become a victim of his own popularity. The man has been given such a high pedestal, that it's almost impossible for his teachings to NOT sound preachy. How then, do you mold his morally upright teachings according to today's pragmatic times? How then, do you make a gangster deliver bapu's teachings and not sound 'weak' or 'escapist' in the process? 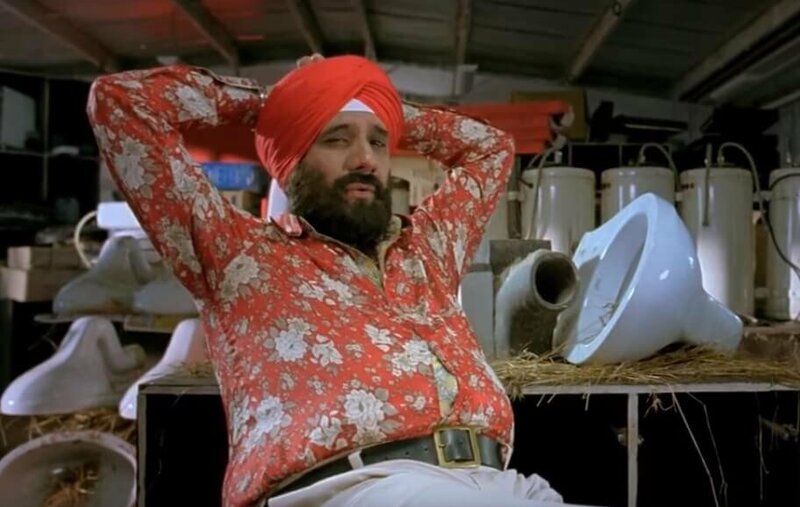 To top it all, Sanjay Dutt and Arshad Warsi had acted in another film that same year called Anthony Kaun Hai that had bombed miserably at the box-office. Amidst all such concerns, Lage Raho Munna Bhai was released in the year 2006. As per the norm, the film had released on a Friday. By Monday, everybody knew what 'Gandhigiri' meant. By Wednesday, people were using phrases like 'Oh, he's unwell. Hope he gets well soon' for somebody they didn't like. And within a week of the film's release, there were reports of traffic constables handing out flowers to the law-breakers. I personally believe that you can judge how timely and socially relevant a movie is by gauging its impact on school children. I was in school at that time and I still remember my classmates proudly quoting dialogues from the movie. 'Mast film hai bhai' they'd say. 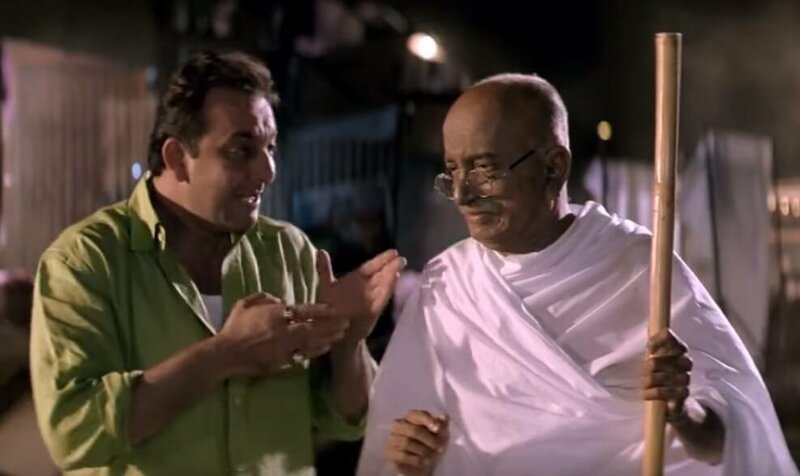 Perhaps the biggest reason why Lage Raho Munna Bhai worked is because it didn't just give Mahatma Gandhi a pedestal. It didn't portray him as a universally relevant, invincible kind of an entity. It acknowledged him as a simple human being who'd never asked us to worship him. "Iss desh mein, mere jitne putle hain, sabko gira do. Meri har tasveer ko deewar se hata do. Har raaste se mera naam mita do. Agar kahin rakh sakte ho toh mujhe apne dilon mein rakho." I'm not sure whether we can have dialogues like that in movies today without creating a furore. Perhaps for the first time in a Hindi film, it acknowledged the fact that by giving Mahatma Gandhi a larger than life image, we've only pushed him farther. Mundane usage of his teachings and philosophies have turned them into sermons and that 2nd October is nothing more than a national holiday for India. "Ae Circuit, yeh 2 October kya hai?" Munna asks. "Dry day hai bhai. Stock leke rakhne ka hai kya?" says Circuit. One of the biggest reasons why people hesitate to follow Gandhiji's teachings in today's times is that while everybody talks about the pros, nobody talks about the cons of blindly emulating what he'd taught us. Nobody talked about how his passive aggressive methods of resistance aren't easy. Till this movie came out. Thus, there were no miraculous results. There were no instant victories. There was no promise of immediate glory if you spoke the truth. Hence, Lakhbir Singh (Boman Irani) doesn't just give up his house when Munna Bhai & Co. start protesting against him. 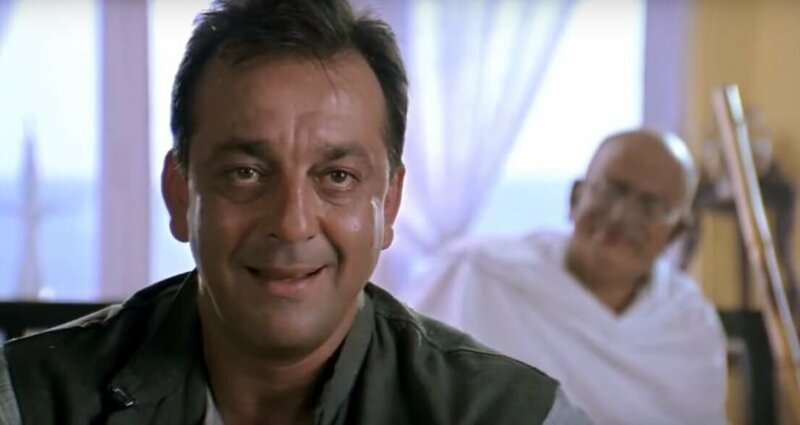 Munna Bhai does hit the guard when he takes undue advantage of his non-violent approach. Jhanvi simply doesn't forgive Munna Bhai when he tells her about his reality. And Mr. Kkhurana (Kulbhushan Kharbanda) doesn't immediately forgive Simran (Dia Mirza) just because she tells him the truth. Maybe it's time for Mr. Hirani to re-package another socially relevant issue. 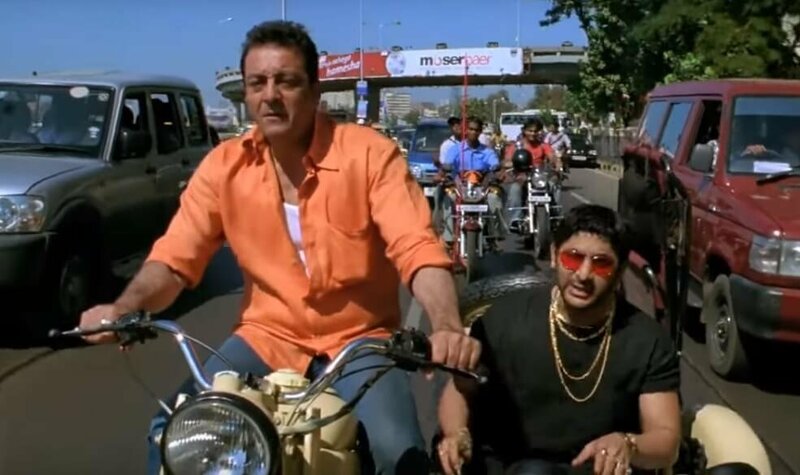 While we were super excited after watching the trailer for Munna Bhai Chale Amerika, the movie unfortunately never materialized. We're still waiting Mr. Hirani.